When it comes to high powered, gut wrenching wagons – only one automaker comes to mind. The ingolstadt born and bred, Audi. Till this day and age,almost every wagon that blasts through your rear view mirror at biblical speeds is either an S or RS Audi Wagon. Getting a glimpse of a superwagon in our beloved country is still a rare occasion, as the concept has not really caught the attention of most. Buyers in Malaysia are usually making expensive purchases – to make a statement. And let’s admit it – these Vanette looking cars will not be able to impress your neighbours at first glance. The first Audi that really caught my attention was the RS6. I remember the first time I set eyes on it. And although in europe, the Audi RS badge scares the likes of 911s, but as of 2008 in Malaysia, it didn’t ring any bells to most. So up to that point, I never knew what kind of monster was about to leap out and eat me alive. Despite the performance produced by the people at Ingolstadt – there are still skunkworks who spend time fiddling with the mappings of the ECU and airflows. Famous for their werks on the Audi RS6 platform – MTM is one of the top tuning houses for anything-VAG (Volkswagen-Audi Group). Let’s just say, the boffins at MTM are well versed with their subject. So when Imola Motorsports called us up to review their juiced up MTM RS4 B5 – we immediately set a date with the superwagon. Introduced by Audi in late 1999, it was built as the successor to the original RS Audi, the RS2. In its short run period of only 2 years, Audi has built 6,030 units between 1999-2001 and although it was sold in most areas of Europe and Asia, only a handful of units came to Malaysia. 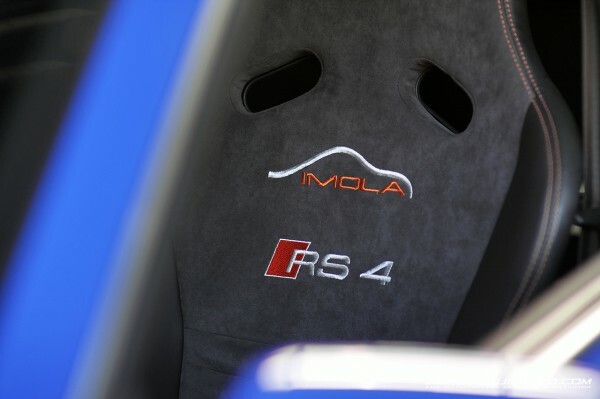 This fine example that belongs to Imola has been with its owner for more than 6 years, and it claims so much passion and enthusiasm that it motivated the birth of Imola Motorsports. 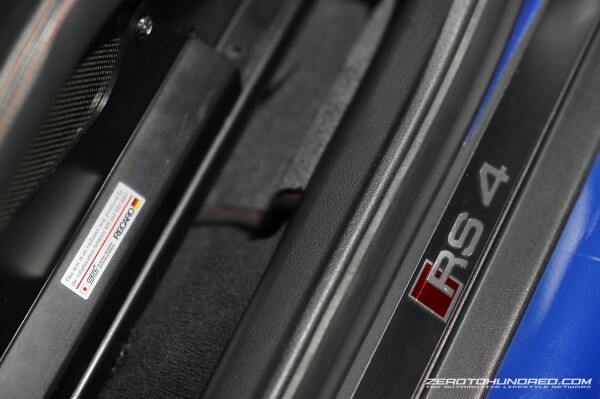 For some, a car is just a machine but for enthusiasts like Izmail, the relationship between his RS4 is the basis for his love for cars and speed. Since the first time he laid eyes on it, this car has gone through a few major modifications. There was a goal from the beginning – to make it one of the fastest wagons on the road, without compromising the European feel. So lets take a step into the modification scene. The B5 is powered by a 2.7-litre bi-turbo V6 Cosworth developed engine, which at stock – produces 375 horsepower. Tuned up with MTM’s stage 2 mapping, the car now produces around 500 horsepower (depending on fuel type). 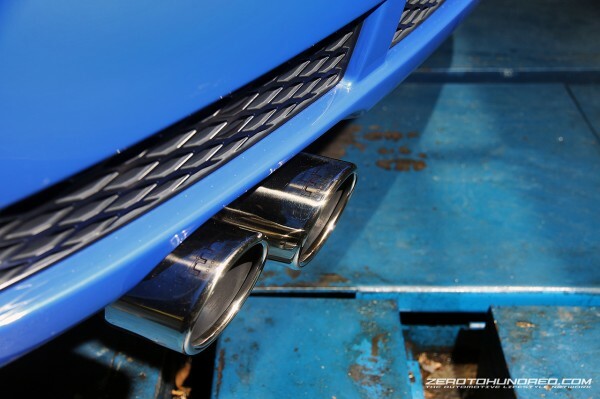 To couple with the stage 2 performance, the exhaust is also replaced with MTM’s full turbo-back exhaust and intakes to allow for better breathing. Matching the power, the suspension and brakes has also been altered with to improve the handling. 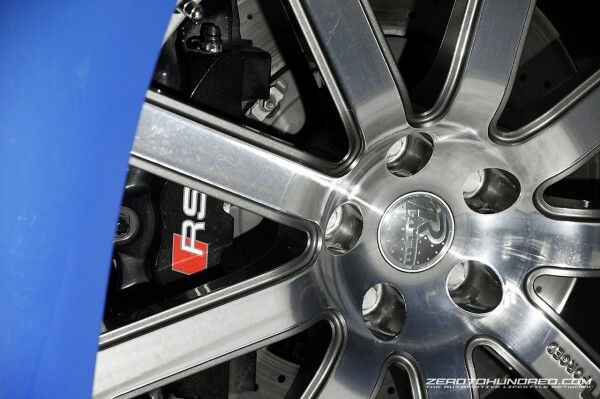 Braking power has been upgraded to Audi’s Brembo 8-pots from the RS4 B7 – running 365mm front and single pot 324mm rears, which are cross-drilled for ventilation. Stock suspension has been replaced in favour of KW-suspension’s variant 3, which is compression damping and rebound rate adjustable – to fit the likes of all-round performance. Running lightweight, the rims are replaced with MTM BiMoto 19”x 8.5j which weighs a paperweight 11.4kgs – giving the B5 a sporty stance to match the power and clearing the 8-pot calipers with ease. Tyres are running a square setup with 265mm sections all round. Subtlety is a priority with euros – the interior has been flourished with lightweight carbon fibre goodness everywhere. The seats were taken off Izmail’s previous ride, an Impreza S204 that has been fully rewrapped with suede for better grip. These limited edition Recaro carbon seats shed a good 20kgs per seat. And at the same time, the rear bench seats were also taken out and replaced with air (no seats) to shed even more weight. Performance was key in this project – and in the pursuit of all-round performance, the car has turned from a quiet sleeper to one of the fastest performance machine on our roads. Izmail says that the car is about 80% complete, with a few more upgrades on the way. Although they were kept a secret, we can vouch that it’ll be packing more power – and displacing its sleeper outlook to perceive a more aggressive exterior. Do we like it? Yes, absolutely and we look forward to see its next transformation. Although power is overrated – don’t think anyone would complain if it packs more right? The Goldmember GTR – Bringing Neverland’s Party to TIMETOATTACK! Driven: Bentley Continental GT Speed – fastest luxo-barge hooned in yet! COPYRIGHT 0-100.NET | ALL RIGHTS RESERVED | POWERED BY ZEROTOHUNDRED.COM | TIMETOATTACK!